The Golden Ratio can be found quite easily using only a straight-edge and a compass. To underline the upcoming release of my book, Constructions, I am going to detail one of the lessons here; How to find the Golden Cut of a Line…. Begin with line AB. First construct a perpendicular from B. 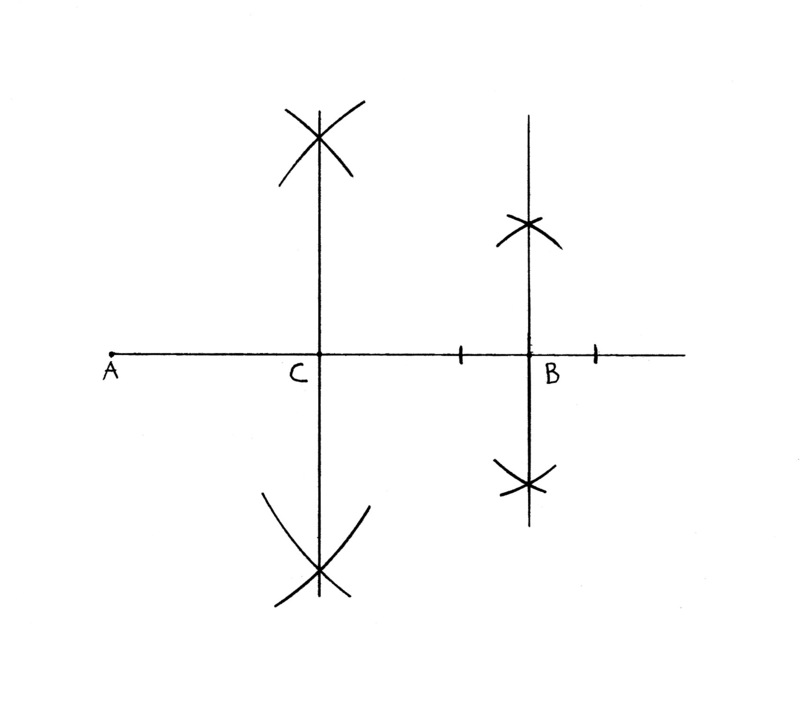 Next, bisect line AB, and label it C.
Open the compass to measure CB. 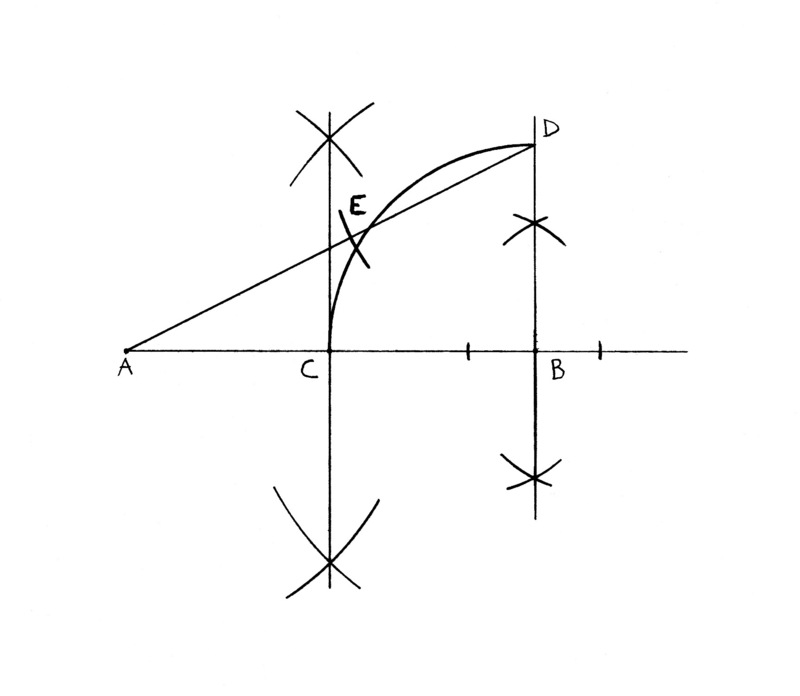 With the metal tip on B, cut an arc on the perpendicular at B. Label the intersection D.
Draw line AD. Without changing the compass, put the metal tip on D and cut an arc on AD. 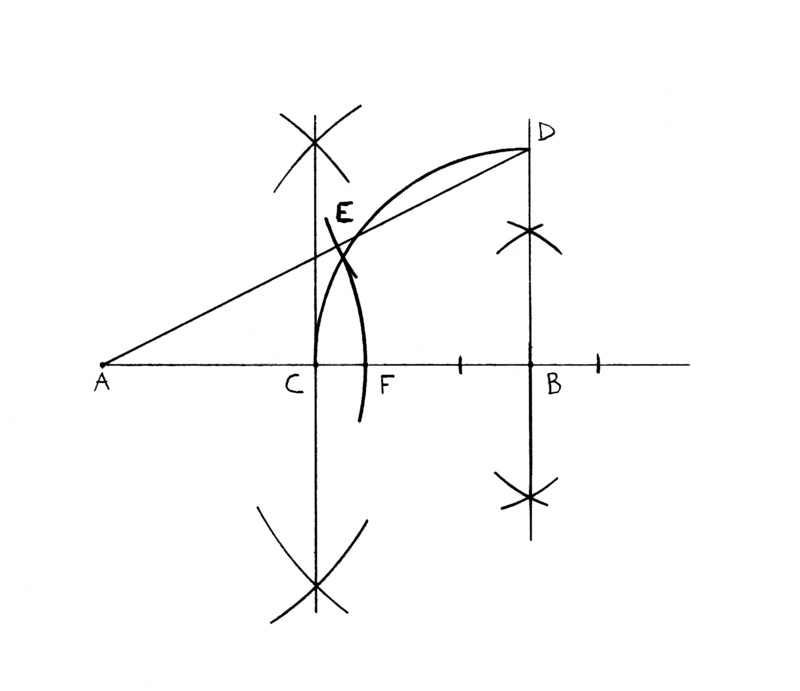 Label the intersection E.
Open the compass to measure AE. Put the metal tip on A and the pencil on E, then cut an arc to intersect line AB. Label it F.
F marks the Golden Cut of line AB. The book here http://ksvi.mff.cuni.cz/~holan/GoldenRatio/ contains ALL shortest costructions of the Golden Ratio.